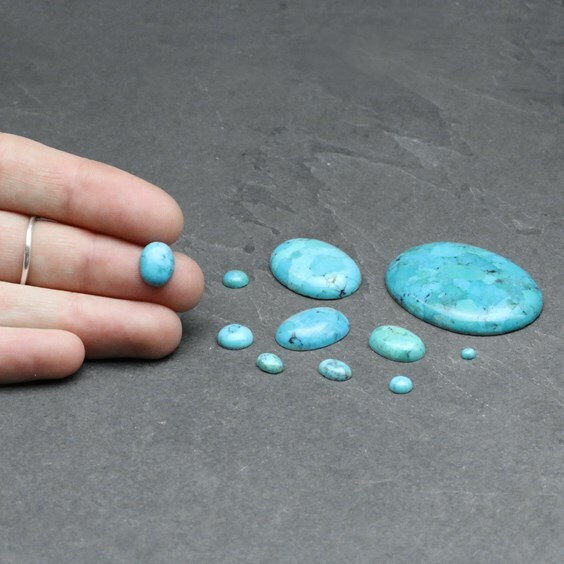 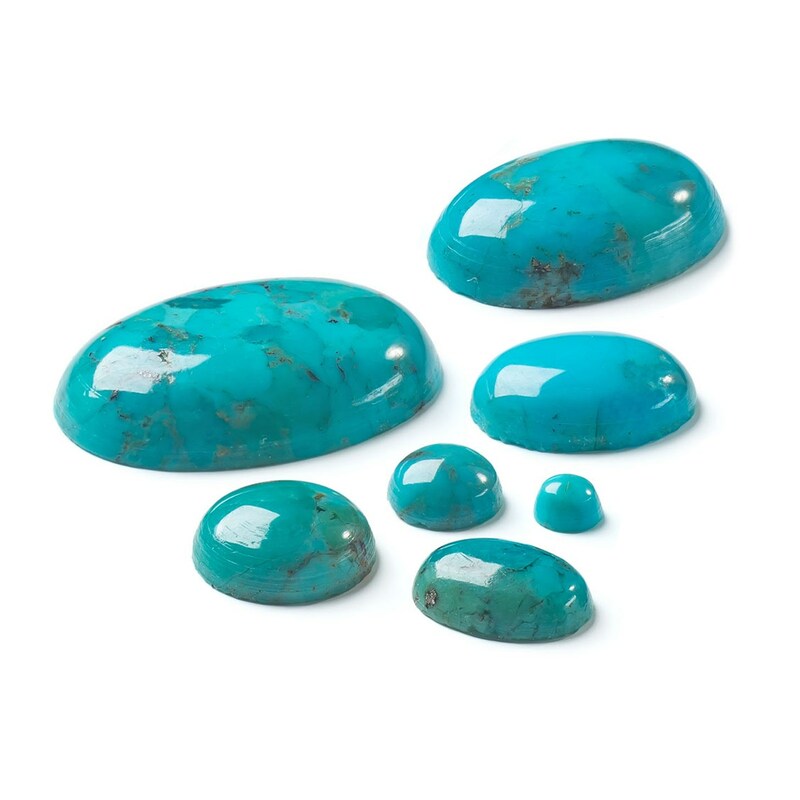 Turquoise is such a popular stone and has a wonderful vibrant colour. These turquoise mosaic cabochons have been stabilised and compressed to create their pretty patterns which will add interest to your jewellery designs. Turquoise is often seen set with silver which complements this cool coloured gem perfectly.